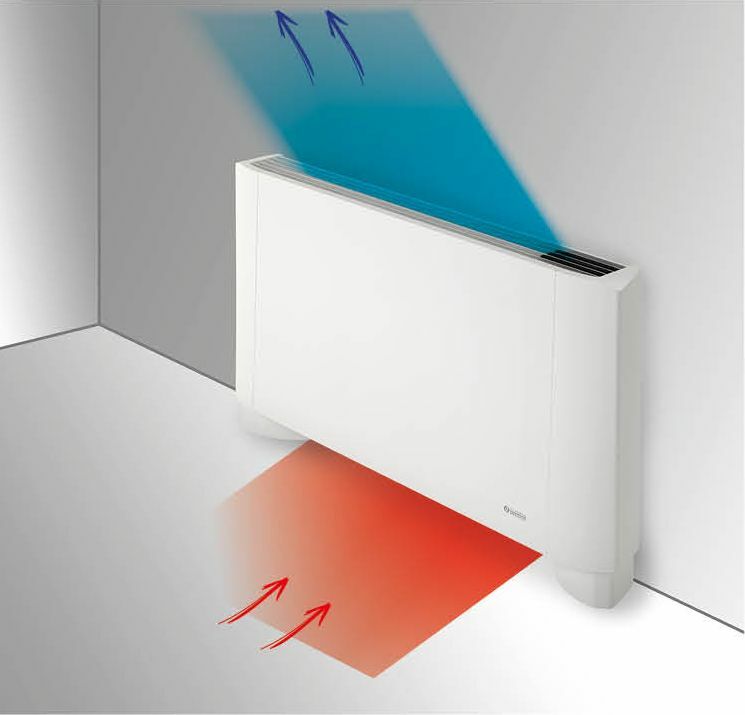 The total flat fan radiator with Radiant Tube+ technology. The radiant panel operates as a low temperature radiator, while the special tangential fan ensures quick heating and a uniform temperature. The brushless DC motor adapts the air flow rate to the ambient heat load, optimizing comfort with reduced consumption; typical of inverter technology. Total power consumption is only 5W at minimum fan speed. Year-round air conditioning is possible with Bi2 SLR smart inverter: heating, cooling, dehumidification, filtering.